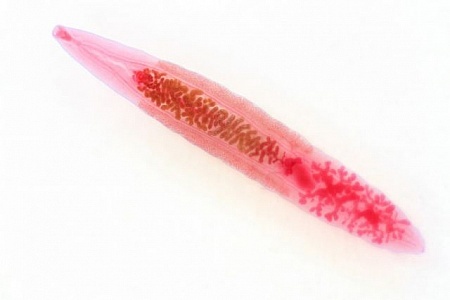 Chinese liver fluke stained slide. 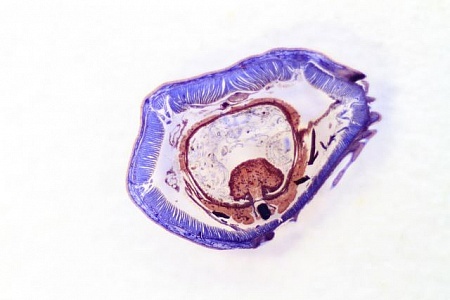 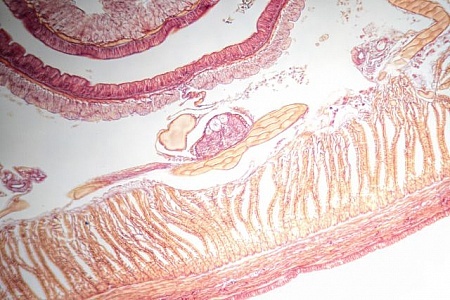 Stained slide of an earthworm cross section. 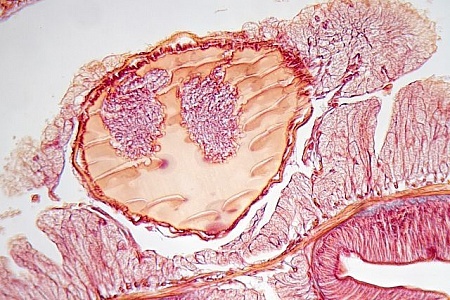 Cross section of an earthworm.